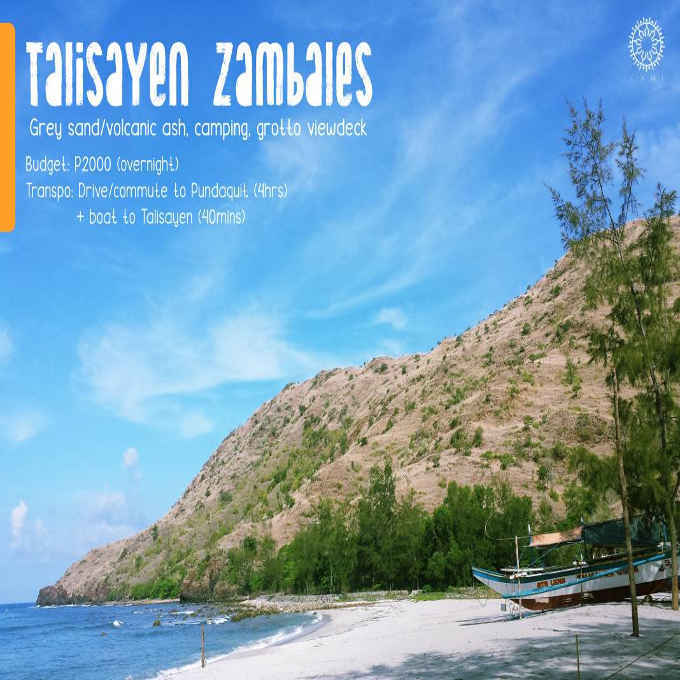 Visit Talisayen Cove in San Antonio, Zambales. Most of the people who have been there will tell you that the place is clean, peaceful and the people are kind. A Php2,000 budget for an overnight stay is enough.A commute to Pundaquit (Pundakit) will take you 4 hours and a boat to talisayen will take you 1 hour. Pundaquit (Pundakit) is one of the 14 barangay of the municipality of San Antonio, province of Zambales. You may contact Paul | Mikael | Lyn | Jaynelyn at the following numbers if interested.